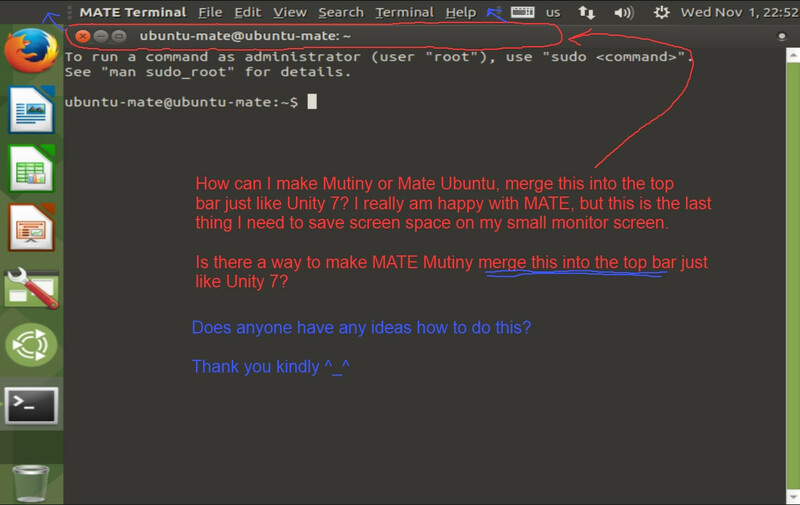 I have a question about Ubuntu MATE using the Mutiny Appearance configuration. When I maximize my terminal or LibreOffice, it still leaves the title bar. not merged into the TOP PANEL. How can I merge it? In the old Unity 7 Ubuntu 17.04, it used to merge into the top bar. Can this be done with MATE? Do you guys have any ideas or tips? 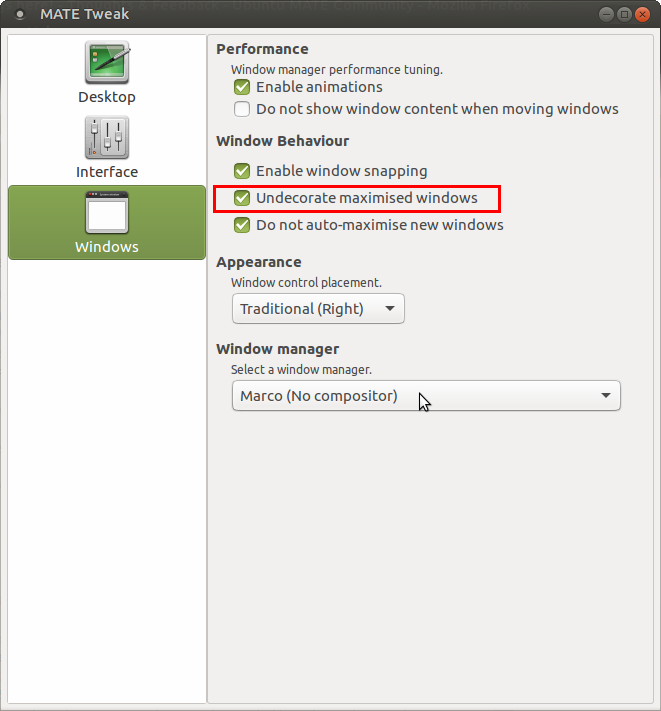 Open MATE Tweak and check "Undecorate maximised windows" under Windows. Warning: Title bar of a maximised window will vanish completely. You won't see window control buttons (close, minimise, maximise) for maximised windows. You'll have to use keyboard shortcuts. Most probably Ubuntu MATE 18.04 will have the window control buttons. Not the answer you're looking for? Browse other questions tagged panel mate ubuntu-mate titlebar mutiny or ask your own question. Which desktop environment removes window borders/frames of full-screen windows by default (or easy)? Is there a way to get a Max/Min/Close Applet to Ubuntu Mate Panel?